Patrick Rothfuss was an instant favorite of mine when I finished reading The Name of the Wind and The Wise Man's Fear in one sweep. I preferred reading series in one go, because of my memory condition that triggers me to forget anything in a story after a few months... I like rereading but I prefer reading them all as one before I forget any vital detail and get lost in the succeeding story telling. There is one thing I can personally do to make me forget about the upcoming book and that is to create a fan-made cover for it. How paradoxical or ironic... When I am busy crafting I forget whatever is occupying my mind. 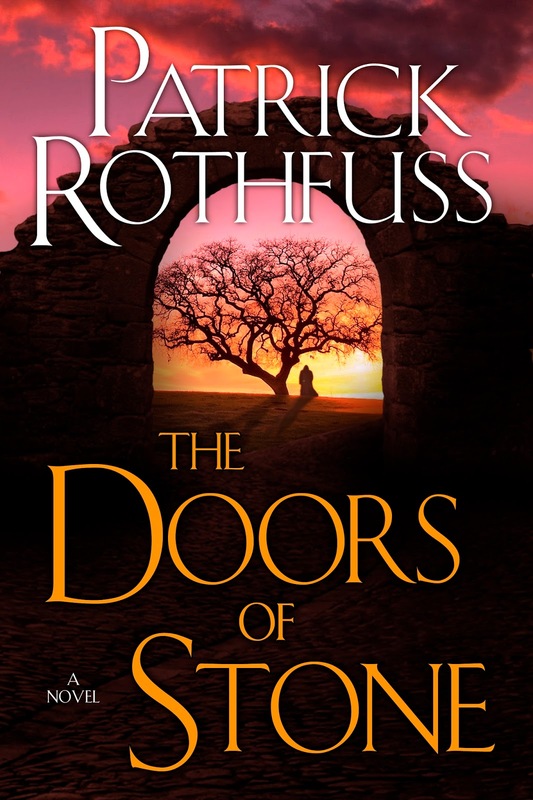 Check out the fan-made cover (US edition) I made for The Doors of Stone by Patrick Rothfuss. According to Amazon UK, which is known for posting unreliable release dates for upcoming books, The Doors of Stone by Patrick Rothfuss is set to be released on August 17, 2017. This is pretty dang good. Do you do a lot of illustration? Thanks. Not really... just playing around when I have the spare time. Your cover is so pretty that people mistook it for the real thing and uploaded it on Goodreads XD I thought it was the real thing! I am so excited about the 3rd book to be out. I know that I want the book. Read both of the books right in this. Series. Awesome!!! I will be waiting for the book to come out so I can read the 3rd book. Been waiting for the book to be out to read it.